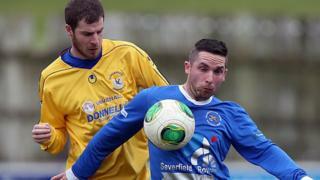 Ballinamallard United draw 2-2 with Dungannon Swifts in the Irish Premiership clash at Ferney Park. Jason McCartney's header put the Mallards ahead but Dungannon levelled with a fine free-kick from Matt Hazley. Andrew Burns gave the Swifts a 2-1 lead only for Liam Martin to curl in the equaliser a minute later.